I'd definitely have to call it the Quad-Coffin. 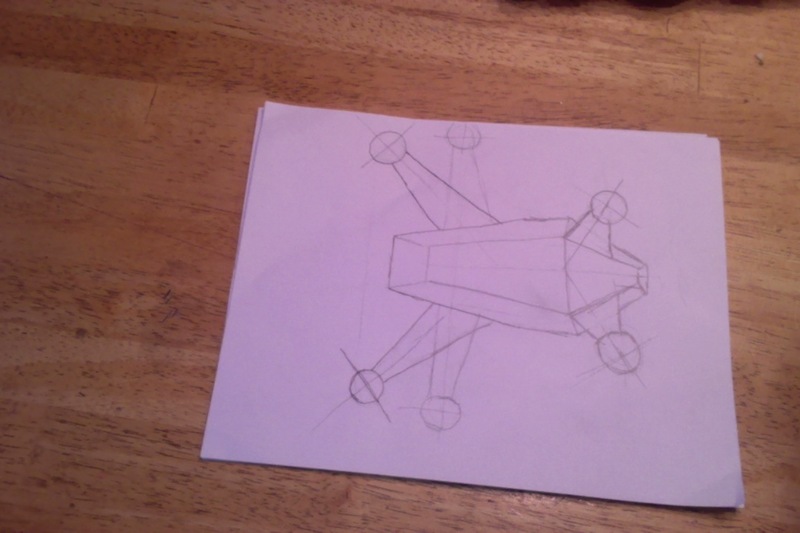 Thankfully, after sketching it out I see that it is just another flying abomination. I hope its all out of my system now. That is awfully horrid. You really need a new finish on that table. I actually cut out a template of something similar earlier this year, and made it so far as to start tracing it onto wood, before I realized that my easy angles and straight cuts were shaped exactly like a coffin. Andre, I'll have you know that I DID refinish this table years ago. Now, it serves as my RC work table. Too bad its still our kitchen table. My wife gets cranky about that. Con, its not in their nature to ever be happy with what we men do. I blame Disney princess movies. Congratulations padawan, you have begun your journey to the allure of the "Dark Side"! Thurmond, I am merely trying to understand my enemy better. Ah, yes, BUT to completely understand the enemy, you must completely BECOME the enemy! Lobster - why can't they make them look cooler? So, how does this whole thing work? I mean, what does the KK board do? Obviously, it translates throttle, rudder, elevator and aileron controls into motor speed control. But, is it more than that? What is the dark secret behind the control board? 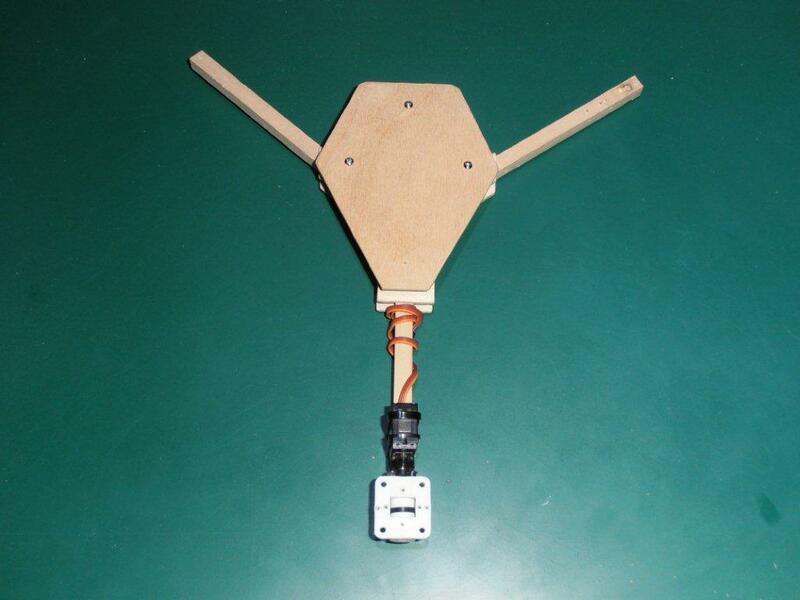 The control board also constantly corrects for variations in lift using the gyros, so that it doesn't suddenly flip if one motor flies over a protruding object. Without the stabilisation, you'd only be able to fly well away from any object that may generate ground effects. It's true, but then modern fighter jets can't fly without heavy stabilisation. Don't try to muddy the waters with true statements. Modern fighter jets are inherently unstable in order to maximize maneuverability. Multi-rotors are inherently unstable, but need to be stable for silly things like aerial video. Now, HK has a variety of controller boards. What makes the KK2.0 so popular among the nerdy multi-rotor crowd? These joys of technology are available cheaply due to the mass production of the parts (Gyros, Accelerometers, Pressure sensors, GPS receivers, Electronic Compasses etc.) for use in Smart Phones, I-Devices, Android devices and Wii controller devices. Thanks to some dedicated Techno-wizards that see the world in code (off the wall reference to "The Matrix) these devices all come together in a single almost magical, electromechanical implementation that uses complex control algorithms to sense motion in six axis's using Gyro's and Accelerometers (and sometimes many other sensors as in the case of ArduPilot) to determine relative location, level and direction of travel so that the correct signals will get to the correct motor at the correct instant in time to produced the desired movement commanded by the "Pilot/Operator". This is about as close to the Jetson's and Star Trek that it gets for the common man today. KK2 is easy to use and VERY good at allowing precise control over the craft it is installed on while allowing the more technically inclined to alter settings to precisely match the flight characteristics of the frame and motor / esc combination and even hack the code to improve it. Let me sum it up: Multirotors are the Di-lithium Crystals where Science and Science Fiction meet and mix thoroughly transmuting the dreams of a new generation of amateur scientist into a powerful reality.